The Soap Factory anticipates a Spring 2018 reopening. 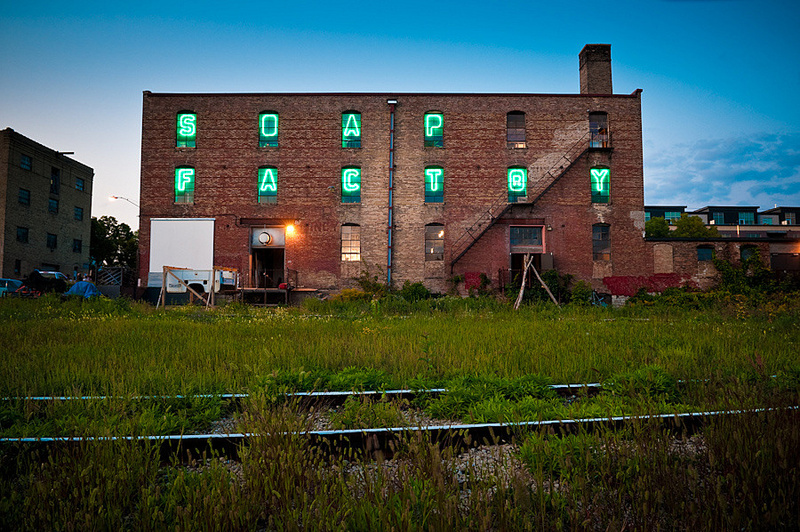 The Soap Factory is a non-profit organization established as "a laboratory for artistic experimentation and innovation," and is located in the historic National Purity Soap Factory located by the riverfront in the historic Saint Anthony Falls District of Minneapolis. Stay abreast of construction news and footage on their website. Historic steel window rehabilitation is ongoing. Existing wood flooring on levels two and three has been repaired and refinished. Electrical and mechanical rough-ins are ongoing. Floor openings have been cut for new egress stair. Exterior masonry rehabilitation of the red brick building. Wall framing at the lower level is ongoing. Freight elevator has been removed.